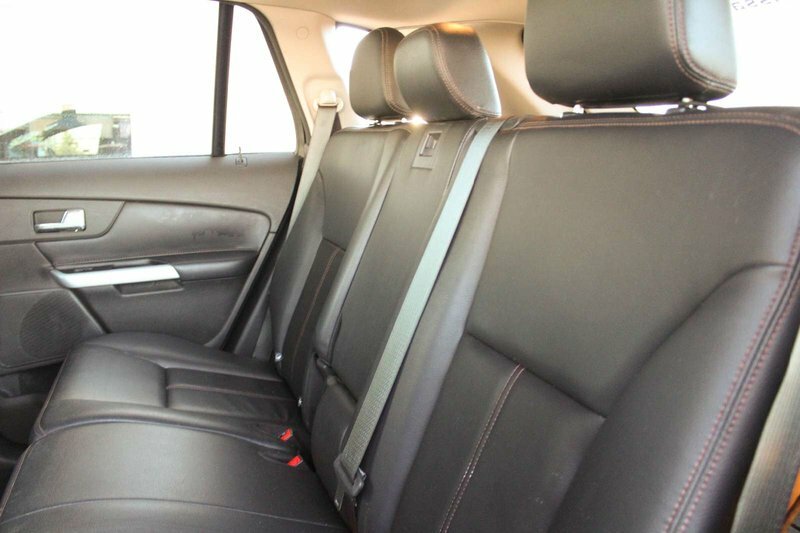 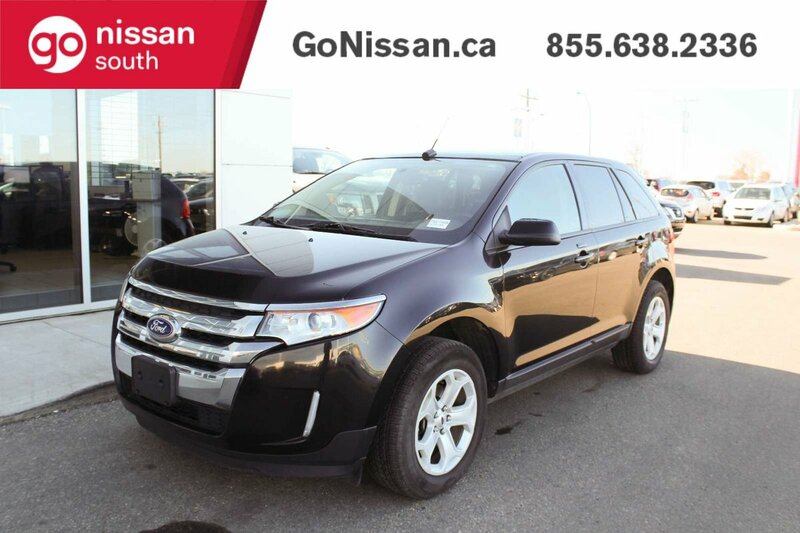 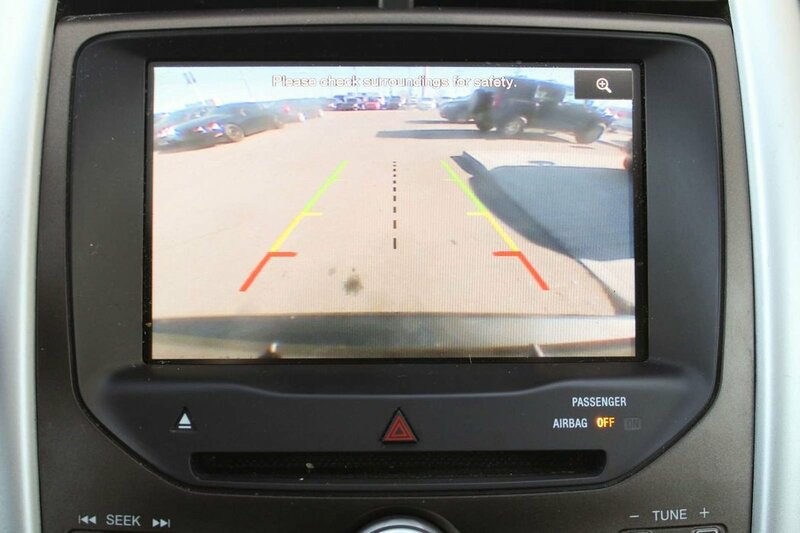 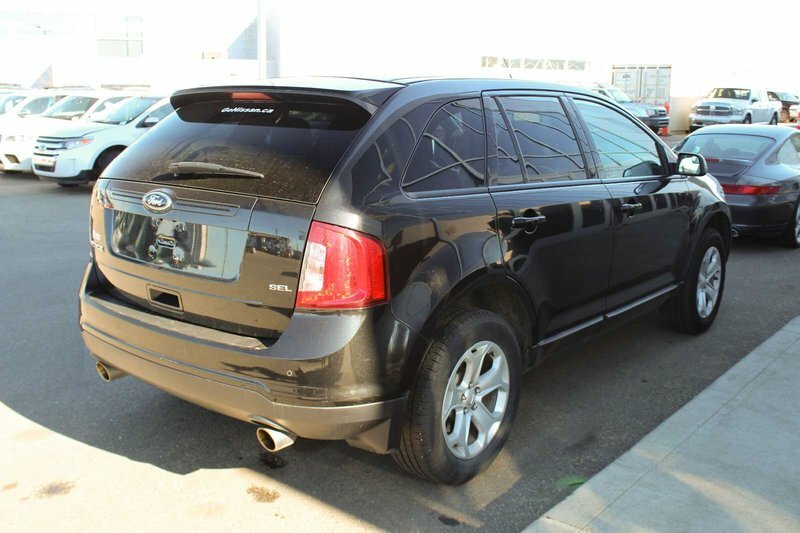 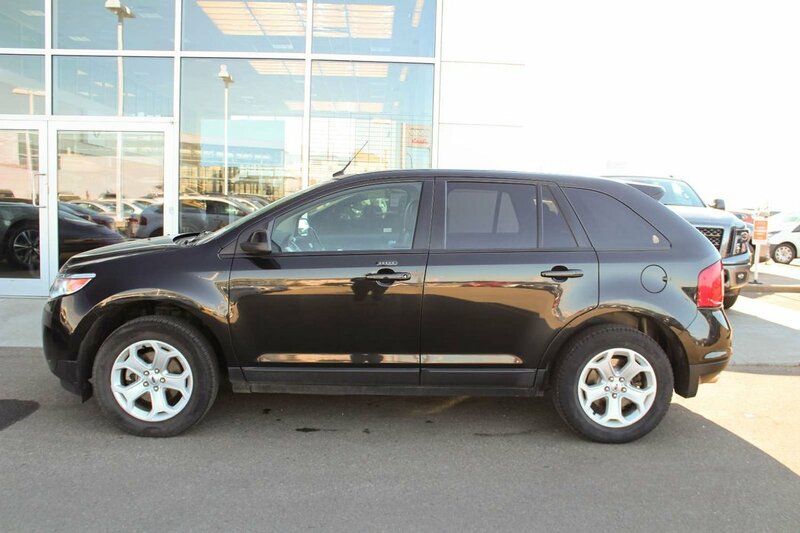 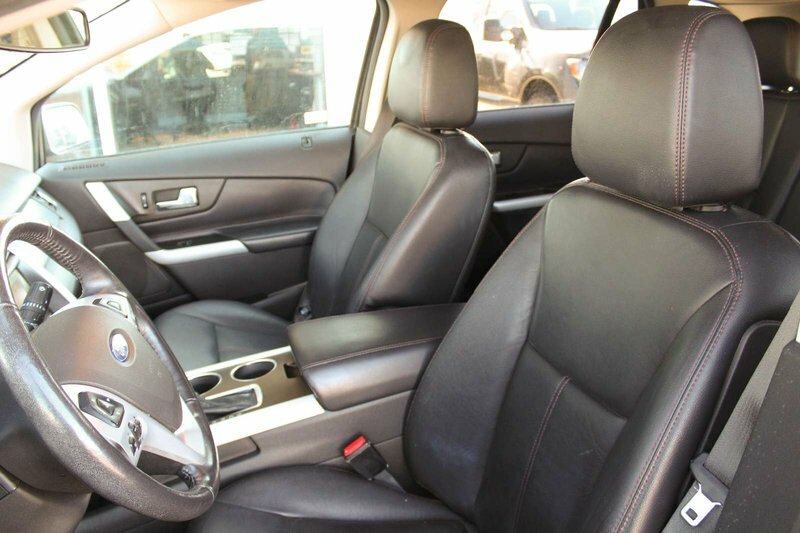 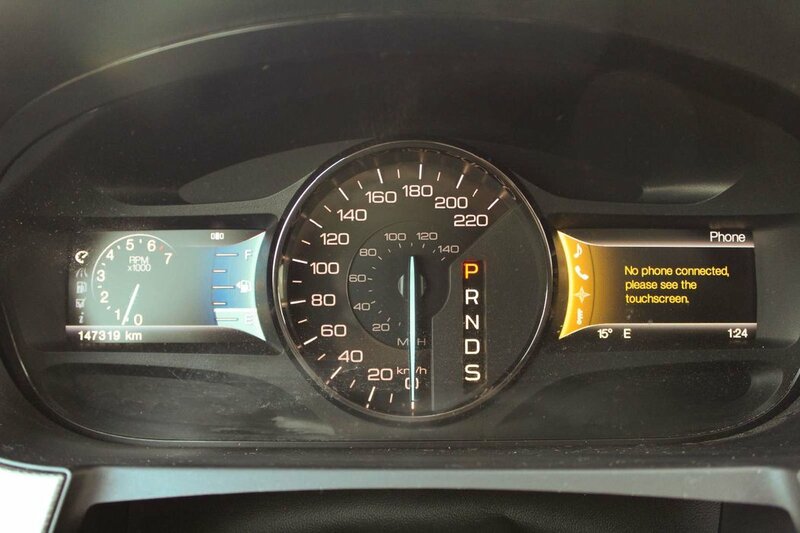 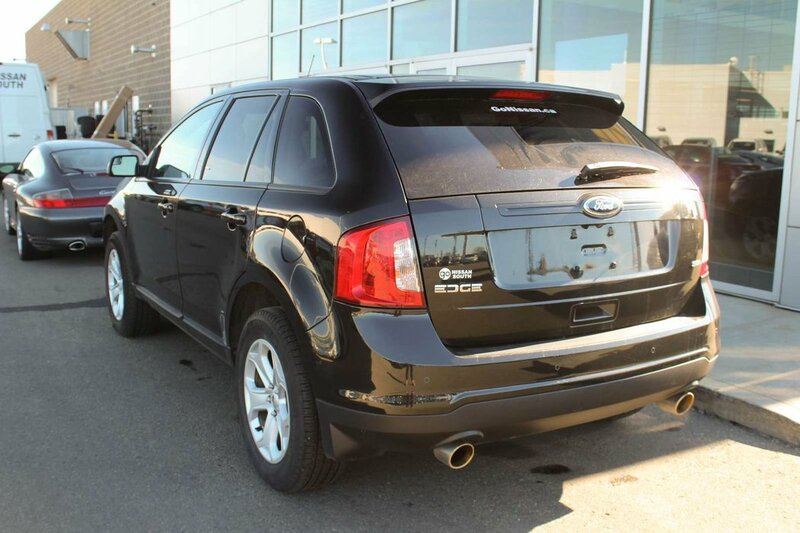 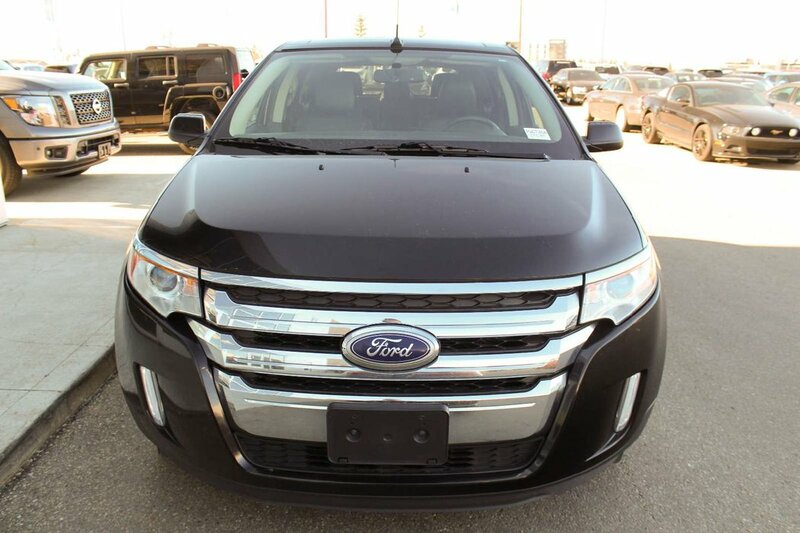 Experience our 2013 Ford Edge SEL Crossover shown in Tuxedo Black. 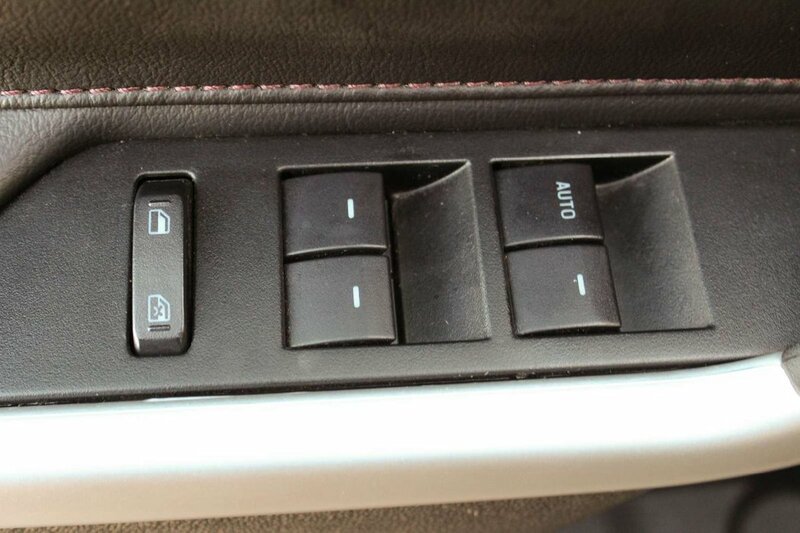 Motivating this machine is a 3.5 Litre V6 that generates 285hp while connected to a smooth-shifting 6 Speed SelectShift Automatic transmission with Sport Mode. 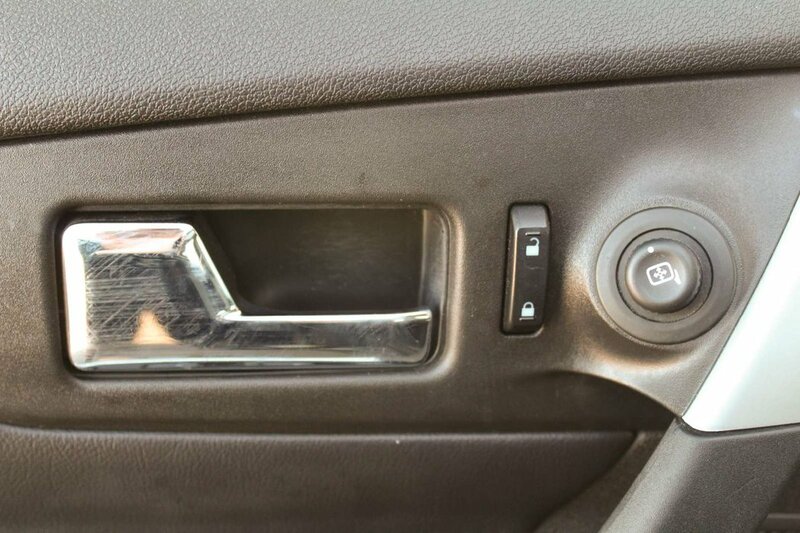 This Front Wheel Drive combination delivers a confident ride while rewarding you with nearly 8.7L/100km driving down the open road as you sing its praises. 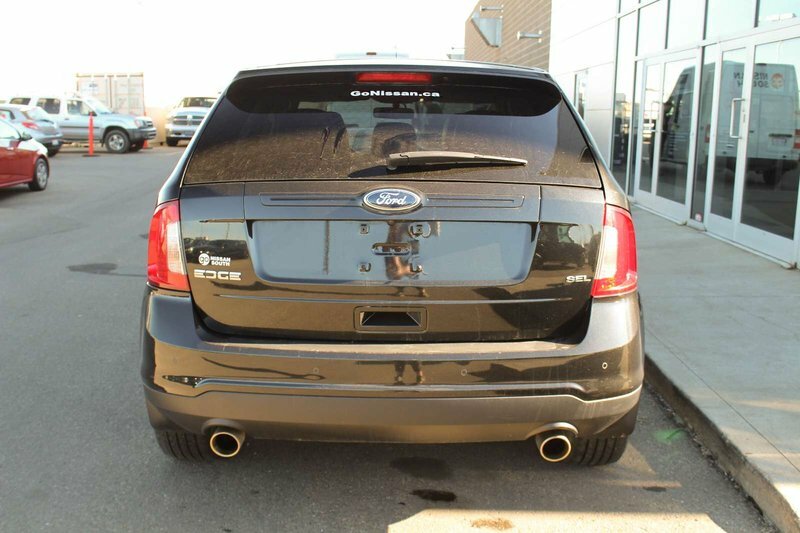 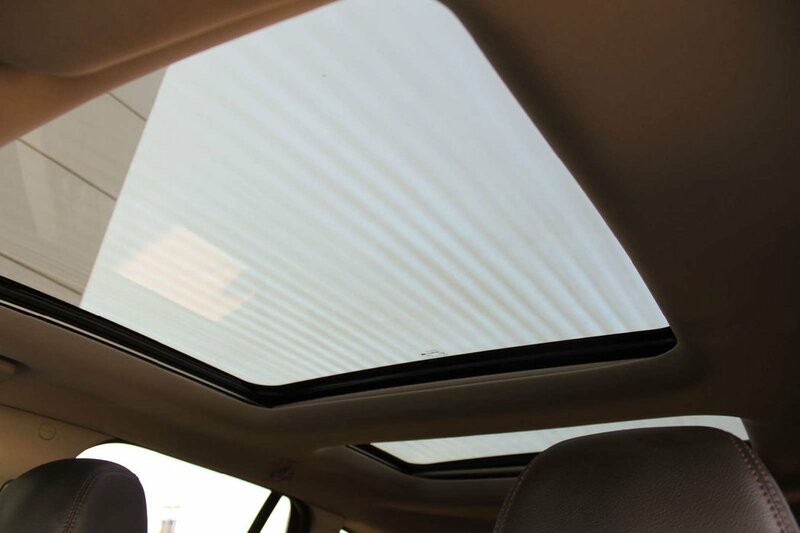 Edge commands attention with privacy glass, a rear spoiler and chrome grille. 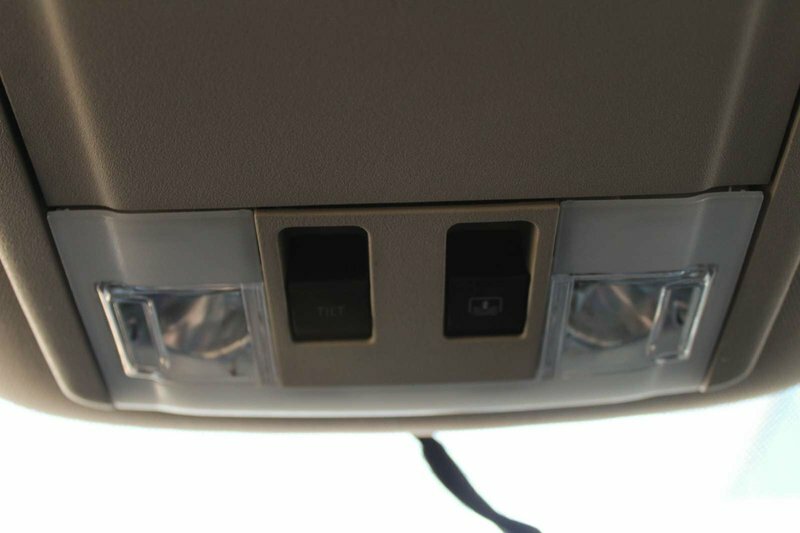 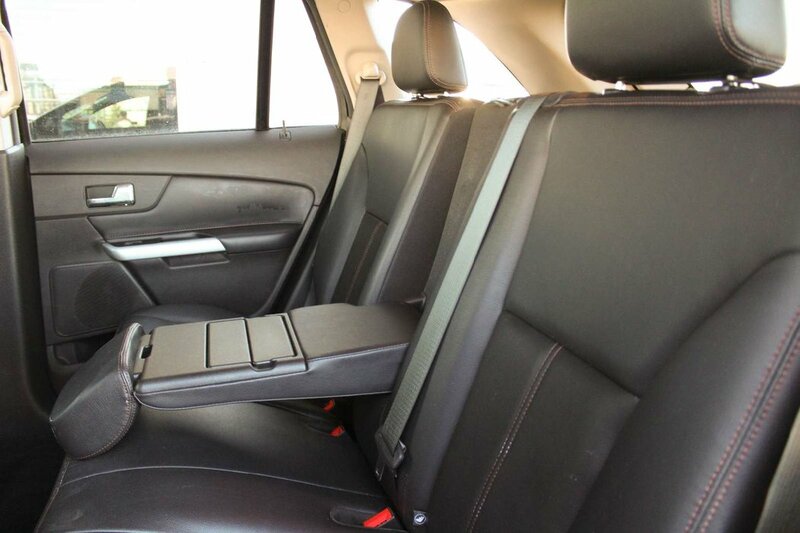 Inside, the SEL pampers you with standard luxuries in high-tech, modern design. 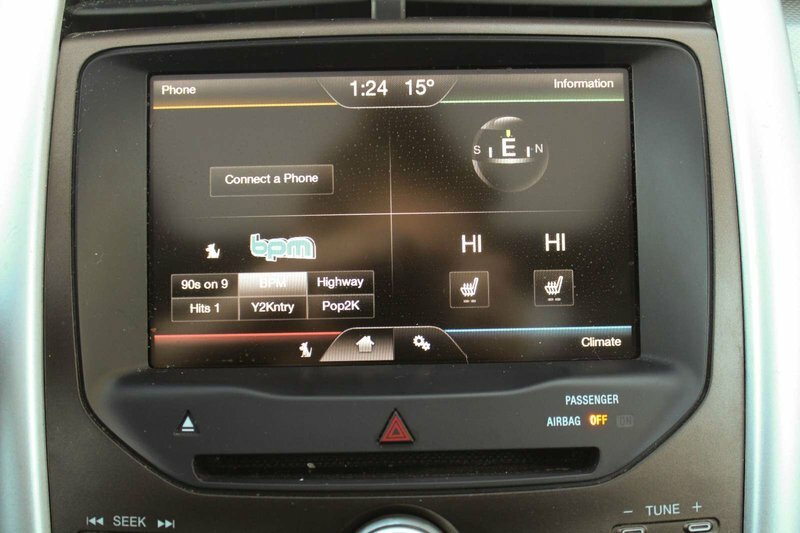 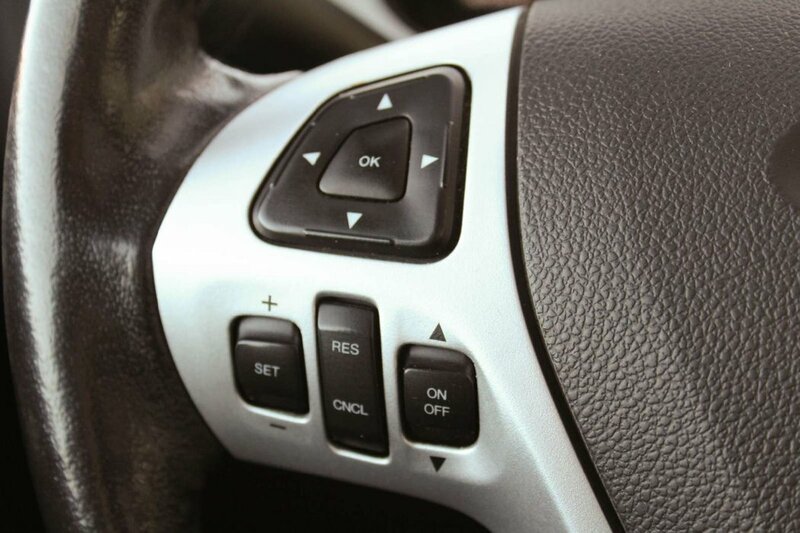 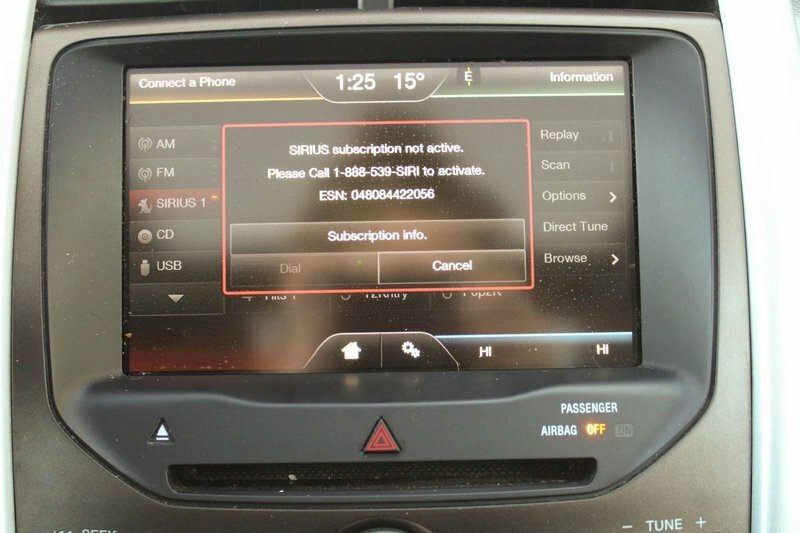 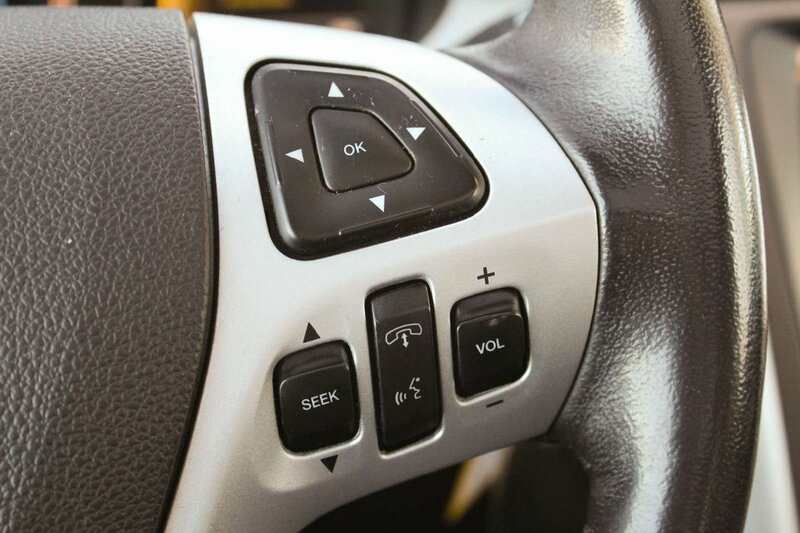 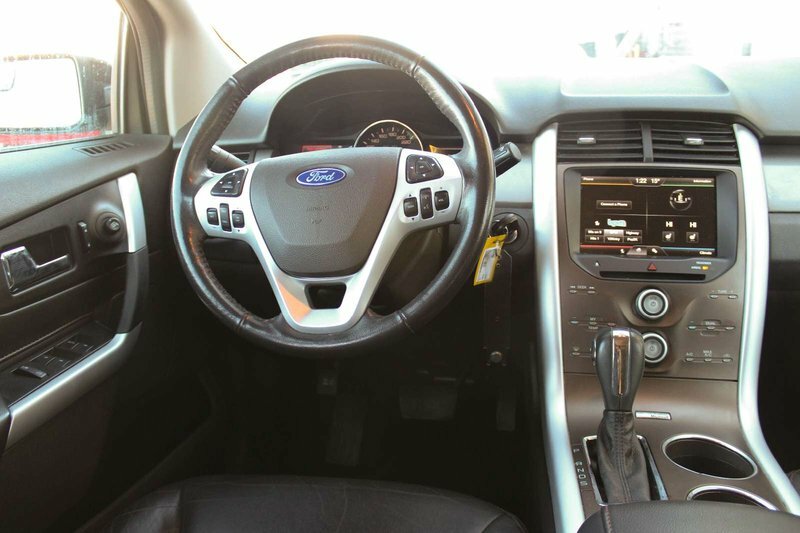 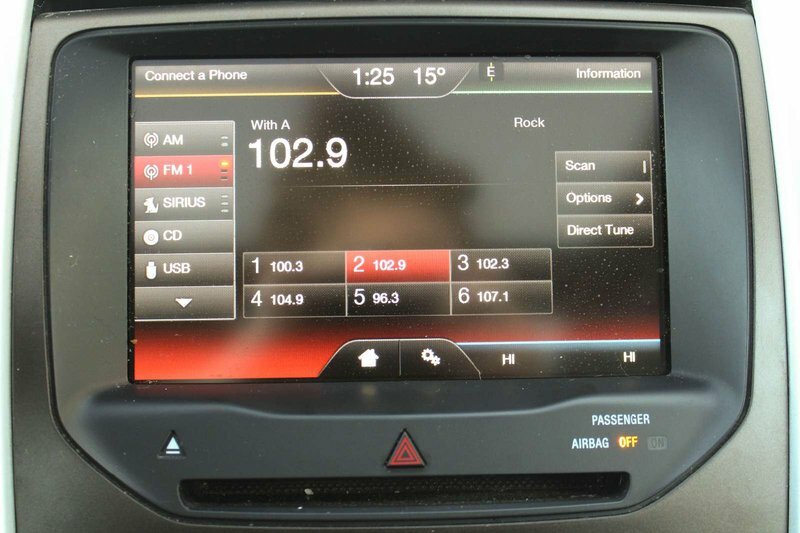 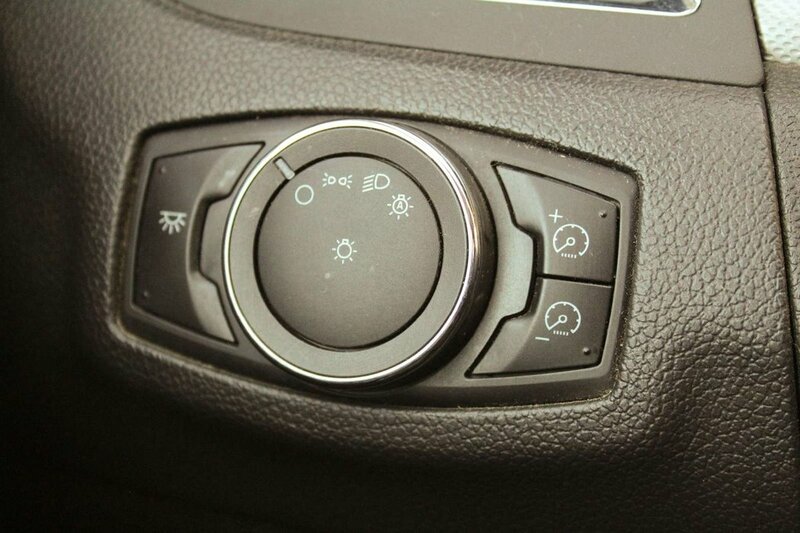 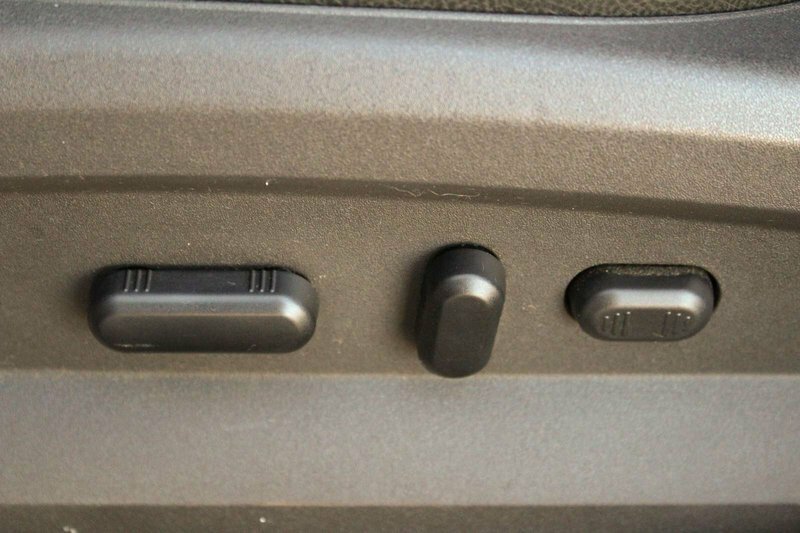 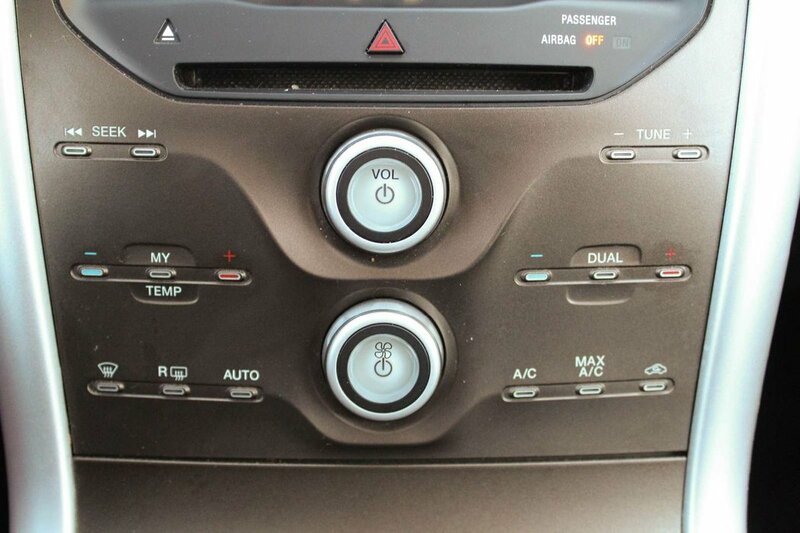 Voice-activated Ford Sync, available Sirius XM radio, a leather-wrapped steering wheel with audio controls, and dual-zone automatic temperature controls are just a few of the amenities you will enjoy. 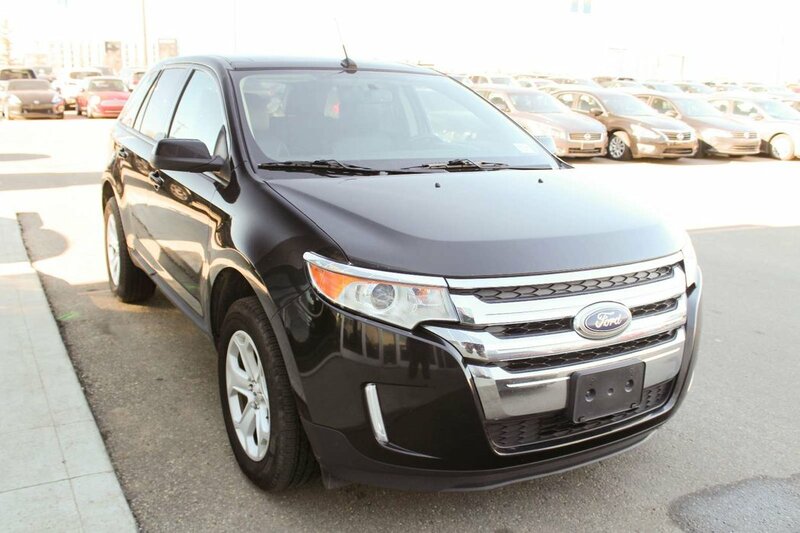 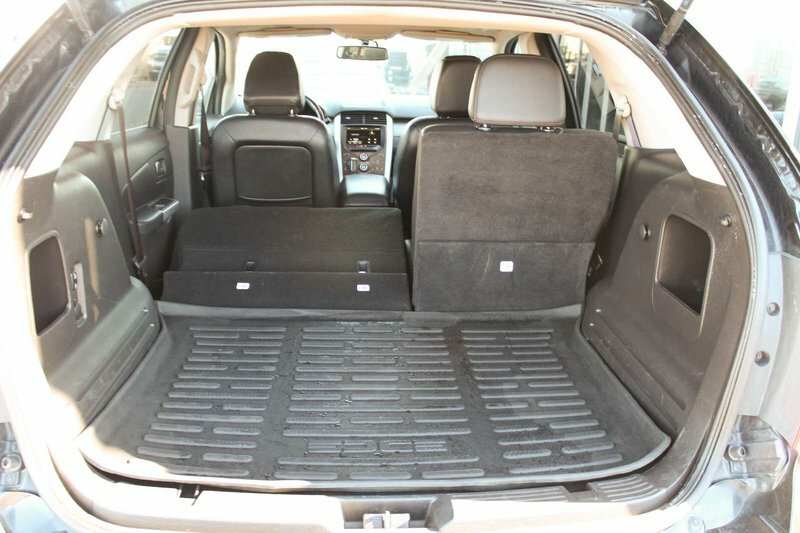 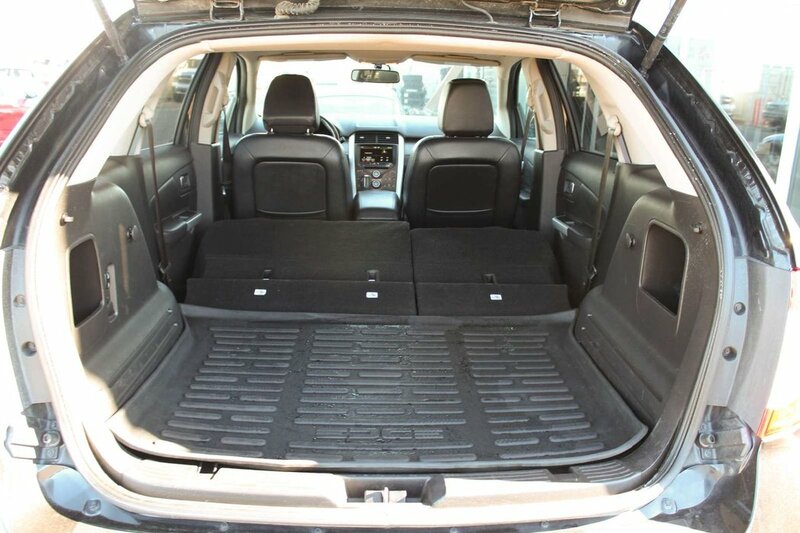 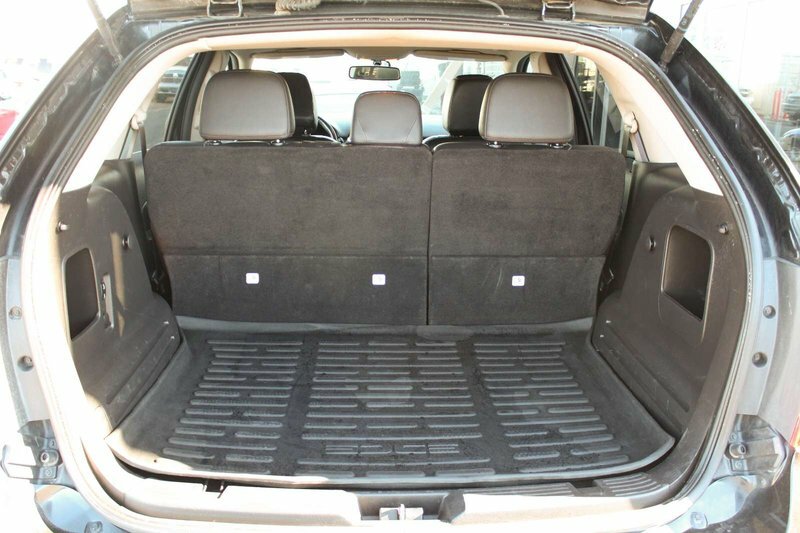 Plenty of leg-room, comfy heated front seats, a large sunroof, extra charging power points and storage nooks for all of your extras make the Edge the perfect car for the on-the-go family!